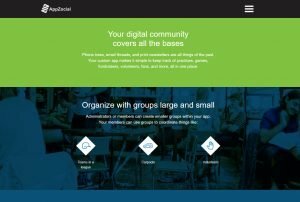 AppZocial is a Seattle-based startup that provides secure social networking applications for private communities, allowing their customers to fully control their digital platform. 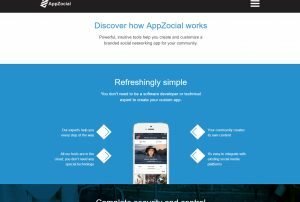 After receiving funding from some of Seattle’s most respected leaders, AppZocial was primed for expansion. What AppZocial really needed was a better way to tell the story of their app. Their previous website focused on platform features and technical specifications instead of the very compelling story of their app and the benefits to the customer. 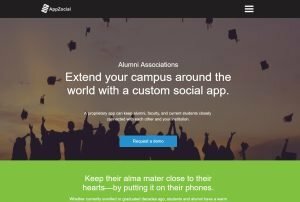 We worked closely with AppZocial to help reshape the way they marketed and sold their product. We broke down their market into verticals and developed a messaging platform that focused on the benefits of the app to each group. We updated their web design to include the rewritten copy and included visuals that helped support their story. Overall the project was a great success! The updated brand story helped reshape their go-to-market messaging across the company, and the website became a solid platform to drive in leads through digital marketing.